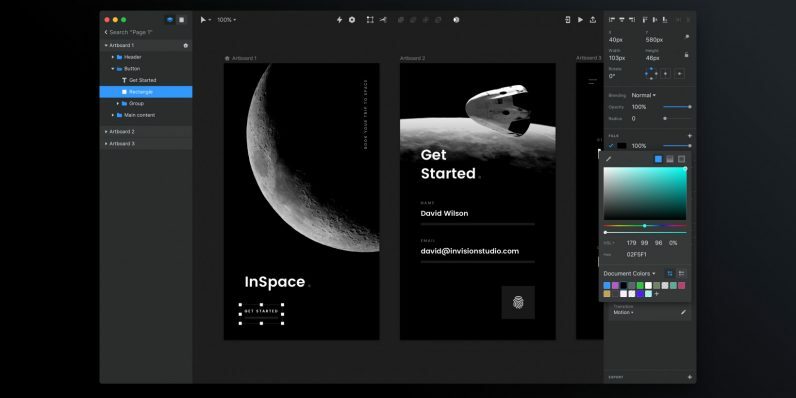 InVision’s made a name for itself with its suite of tools for prototyping and collaborating on mobile and web design projects; it’s now taking things a step further with the launch of Studio, a desktop app for designing responsive apps and sites from start to finish. With its new app for MacOS and Windows, the company hopes to take the fight to popular design software like Sketch and Adobe XD. Studio features an array of tools for designing for screens, as well as the ability to add in animations and transitions, and an intelligent engine that helps you create responsive layouts. You can also share your work and get feedback from colleagues, share components with others, and buy design element kits from InVision’s store right within the app. That sounds neat, but InVision will have its work cut out for it in encouraging established designers to switch from Sketch or Adobe’s offerings. Besides having to get used to a new interface, they’ll also have to think about the challenge of leaving the cloud ecosystems of those rival apps. Invision says it’s already rolled out an early preview of Studio to some of its biggest clients, including Airbnb and Oracle; it’ll be available publicly in January 2018, but you can request early access on this page to try it out sooner. The app will be free to InVision users; aside from the free plan, subscriptions start at $15 a month for three prototypes and go up to $99 a month for the team plan with unlimited prototypes. That’s a bit more than the cost of Sketch, which comes in at $99 a year, and Adobe XD, which will set you back by $10 a month.